The A-10 Warthog’s biggest advocate lost her bid for the Senate, but does it actually matter? 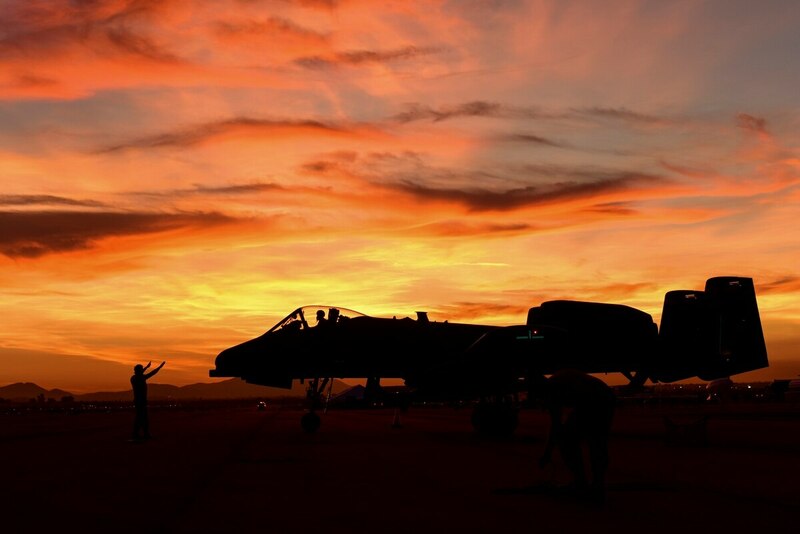 WASHINGTON — When Rep. Martha McSally conceded defeat to Kyrsten Sinema for the Arizona Senate seat on Monday, fans of the A-10 Warthog let out a BRRT of disappointment … and fear about the platform’s future. McSally, a former A-10 pilot and retired Air Force colonel, was the strongest advocate for the platform in Congress, and perhaps the plane’s last remaining protector after New Hampshire Sen. Kelly Ayotte was ousted in 2016 and Sen. John McCain’s death in August. With McSally on her way out, the big question is whether the Air Force quietly restarts its campaign to retire the A-10. And if so, does any one step up to defend the Warthog? Todd Harrison, a defense budget analyst with the Center for Strategic and International Studies, said that it’s unlikely that other members of the Arizona delegation will have the same influence on the A-10 debate as McSally did, which could open the door for the Air Force to press for its retirement. Then again, he said, that could be trickier than anticipated. The last thing the Air Force needs to do right now is reduce its force structure, said David Deptula, dean of the Mitchell Institute of Aerospace Power Studies and a former Air Force three-star. For its part, the Air Force has taken a softer approach to the A-10 Warthog in recent years, rolling back its attempts to mothball the Warthog fleet and making some key investments in the platform. Air Force Secretary Heather Wilson has called herself “kind of a fan of the A-10,” and the service’s current position is that it will retain at least some of its A-10 fleet at least until 2030. The Air Force has put some funding behind those statements, with money in fiscal years 2018 and 2019 to begin putting new wings on a portion of the 109 A-10s needing that overhaul to keep flying. However, officials have yet to commit to re-winging all 281 Warthogs. Should the Air Force switch course, there could be other lawmakers in Congress eager to keep the venerable close-air support plane. Other Arizona lawmakers could step up to protect the A-10, including Sinema, Sen. John Kyl — who temporarily is filling McCain’s senate seat — and Rep. Ann Kirkpatrick, who won Arizona’s 2nd congressional district in the midterms and will represent Davis-Monthan Air Force Base and its four A-10 squadrons. The Georgia delegation also has a local interest in the A-10, with Moody Air Force Base as home to three Warthogs squadrons. Other states with A-10 squadrons include Idaho, Nevada, Michigan, Indiana, Maryland and Missouri. In 2017, a handful of lawmakers from those locales signed off on a letter to the Air Force calling for continued funding for the A-10 re-winging effort, including: Reps. Austin Scott, R-Ga.; Paul Cook, R-Calif.; Jim Banks, R-Ind. ; Walter Jones, R-N.C.; Vicky Hartzler, R-Mo. ; Buddy Carter, R-Ga.; and Mike Turner, R-Ohio; as well as Sens. Johnny Isakson, R-Ga.; David Perdue, R-Ga.; Jim Risch, R-Idaho; and Mike Crapo, R-Idaho. It’s possible that any of those members could make the A-10 more of a priority with McSally gone. “The A-10 is a proven, obviously, workhorse and we’ll see who steps up,” to champion it, said Perdue, a member of the Senate Armed Services Committee. “Losing McSally, that will hurt because she was a big voice for it, but we have a pretty big voice right now. We’re making our case and so far they’re paying attention to it,” Perdue said of Air Force leaders. Risch, another Warthog advocate, said he was satisfied with recent decisions to preserve the future of the A-10, which he said were irreversible. Nonetheless, he affirmed that if the platform is threatened, the Georgia and Idaho delegations would intercede. “We’ll be as engaged as we ever have been on that, and we’re up to it,” said Risch, who chairs the Senate Foreign Relations Subcommittee on Near East, South Asia, Central Asia, and Counterterrorism. For other powerful members of the defense committees where hometown basing is not a factor, the issue is less clear cut. “I’ll put on my hat as chairman: With weapons systems, are they needed now, are they antiquated, is it something that we need for the future—and we can’t afford everything—we’re going to have to make those kinds of decisions,” Shelby said. Then again, McSally’s exit from Congress could be anything but permanent. Kyl has pointedly left the door open on whether he will stay on in McCain’s seat until the end of next year, when a special election will be held to fill the rest of the late senator’s term. If Kyl decides to leave early, it’s very possible that Arizona Gov. Doug Ducey taps McSally to take that spot. “Don’t count Martha out yet,” Deptula said. “She may very well be a key player for that seat, so you may see both a Democrat and a Republican from Arizona” in the Senate. On Tuesday, Kyl told CNN that he had an idea of what his next steps would be, but declined to detail them until he informed Ducey.